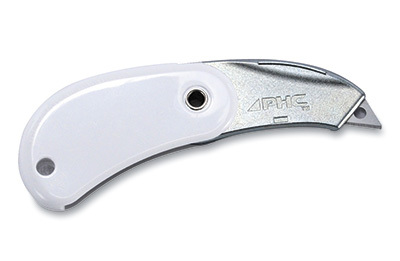 Easy-to-carry, compact folding knife automatically retracts blade when closed. Blunt safety tip blade helps to prevent puncture wounds. Can attach to a lanyard. Non-replaceable blade. Handle color may vary.